We all wish we could make a living out of gambling, don’t we? The thrill of the flop, the spinning slots, the turn of the roulette wheel. It captures our imagination like nothing else. 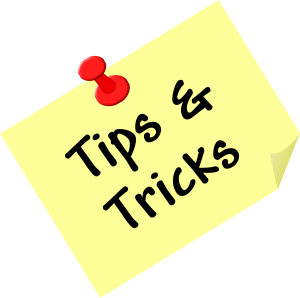 But did you know there are a lot of tips and tricks that can help you to win at online roulette? Well, there are! The good news is we are here to tell you all about them. 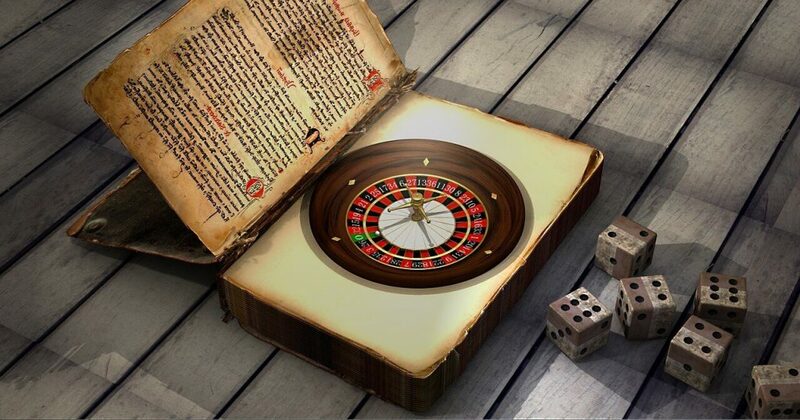 We want to share our knowledge and experience of virtual roulette games to help you to win big. The massive casino companies have had things their own way for too long. They have made more than enough money. That must mean that it has to be our turn. It is not going to be easy. If virtual roulette was so simple to win at, everyone would be doing it. But follow our advice and you could be in with a much better chance of making good profits. There are no guarantees whatsoever when it comes to gambling online. But we can help. Let’s not waste any more time. Here’s our guide to the best roulette tips to help you win at roulette. First and foremost, you need to make sure you understand roulette on a deep level. It may sound obvious, but we have to start at the beginning. Roulette wheels have either 37 or 38 coloured pockets, depending on the type of game you play. 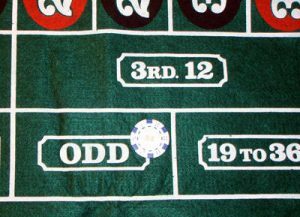 Standard French roulette has 37 – 36 numbers and the 0. The American game has a 00 pocket, which is also green. It therefore makes sense to play European-style roulette over the American game. More green pockets simply increases the house’s chances of winning – negatively affecting your own. Most online casinos will have a decent range of roulette options available to try out. So make sure you are playing one that has 37 potential pockets rather than the American 38. A change in chance from one in 37 to one in 38 may not sound like a lot. But if you are planning to spend a lot of time on virtual roulette, this difference can come into play more than you would think. Online roulette uses a random number generator, so you do not have to worry about the casino trying things to give them an edge. However, if you prefer to see a human croupier you can also opt to play at a live casino. These are now very common all over the internet. Roulette betting systems – are they worthwhile? Lots of people who use online casinos swear by their systems. But how do you know if they work? Using a system can be reassuring, but there can never be any guarantees. It is just as easy to lose all of your money with a system as it is without. There is no harm in testing some out to see what you think, though. The Martingale system is probably the most famous of them. This roulette betting strategy – which can also be used on sports betting – is deceptively simple. Every time you lose a bet, you double your stake. It is that easy! So if you put one chip on black and it loses, the next spin would see you bet two chips. It is usually recommended to stick with your choice of red or black rather than switching between the two options, by the way. The Martingale betting strategy should theoretically guarantee profits when used on roulette. Unfortunately, this is only the case with unlimited time and an unlimited bankroll. The idea is that your eventual winning spin will cancel out all the losses that came before. However, some online casinos have strict restrictions on stakes. Check this before you even start to bet at the wheel. In the long run, the casino companies are always going to win. This is just a fact. But there are still things you can do to give yourself a better chance. Avoiding American roulette, with its extra green pocket, is an obvious place to start. Using a roulette betting system can also be useful. But you need to be sensible when betting on virtual roulette. Keep in mind that losing the lot is always a possible outcome. With this in mind, never bet more than you can afford to lose. Be willing to walk away from a losing streak – chasing losses rarely results in a happy ending. And remember that gambling online is supposed to be fun. If you ever stop enjoying yourself, there is no shame in giving up on virtual roulette. You can always try a new game. Perhaps poker, or maybe online slots. Blackjack might even be your new choice. Roulette games can be very profitable, but you need to be lucky. Adopt a system by all means, but remember that systems can fail. We wish you all the best when you are playing roulette! Roulette is one of the most appealing casino games. It is all right there. The glamour of the spinning wheel. The randomness of where the roulette ball will land. The potential for long, unbroken winning streaks. And that chance that you might just walk away with a huge win. Beginner roulette players may pick their numbers at random. Others may have favourite numbers they always go to when gambling. Family birthdays and anniversaries are common picks. But does any of this actually help you to win when you play virtual roulette? Probably not. Instead, becoming an expert in online roulette demands an understanding of various systems. These can be confusing at first. But there is no need to worry. We are here to help. 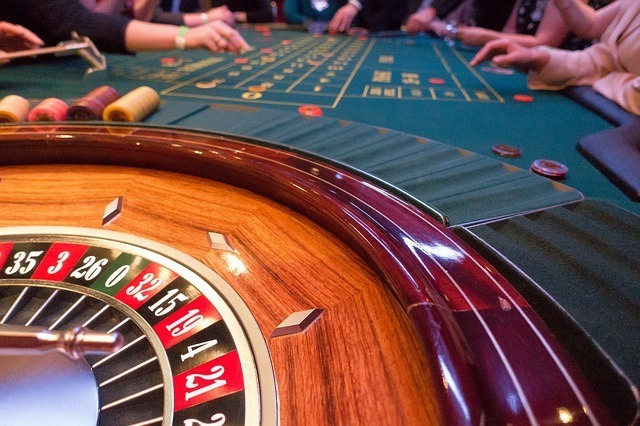 By guiding through everything you need to know about playing roulette on the internet. Read on and you will soon be ready to try your luck at the online roulette table. So let’s crack on! For those who are quite new to roulette, talk of a system may be baffling. The spin of the wheel is random. So how could a system be used to come up with a regular run of wins? It simply does not seem to make any sense. And yet, lots of gamblers swear that their system works. Roulette betting systems typically operate on a series of rules. For example, if your bet loses, you would increase your level of the stake for the next round. Others work in the opposite way. When this is the case, your stake remains the same when you lose. But when you win, the bet increases for the next spin of the wheel. Every roulette betting system works in a different way. There is a lot of choices out there, so it can be hard to know where to start. Some roulette betting strategies are easier to understand than others. Some are very detailed and complicated. These may involve learning a long series of rules or a sequence of numbers. But the simpler roulette strategies can often work just as well as those that are a lot more in-depth. Ultimately, the choice is yours. 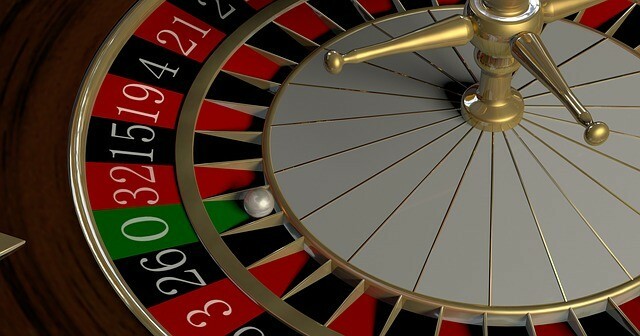 Using a roulette betting system is completely up to you. You can go it alone without a system. You may even choose to come up with your own roulette plan. But it is still worth knowing the basics about what is out there. And maybe try them out for yourself. One of the most common betting strategies used for roulette is the Martingale system. Sports betting fans may have already come across this one in the past. It can be used for all sorts of casino games too, not just roulette. So this is certainly one that is well worth learning about. The Martingale system is one of the most straightforward betting strategies available as well. All you need to do with the Martingale system is increase your stake after a losing bet. Usually, you would double your stake after a loss when using this strategy. So if you open up betting one chip on red, you would bet two chips on the next spin if the roulette ball comes up black. If red wins, then you continue with your current stake. The idea here is that the law of averages means you will always get a winner at the end, no matter how long your losing streak lasts. However, this is only guaranteed if you have a deep enough bankroll that means you can keep doubling your stake. The reverse Martingale is another popular type of online roulette betting system. This works in exactly the same way. However, the clue is in the name. It’s the reverse of the standard system. So with the reverse Martingale, you double your stake after a winning bet, rather than after a loss. Various other online roulette betting strategies are available. There is plenty of information out there on the internet, so take some time to have a look at which ones you want to try out. Obviously, there are no shortcuts to success when betting on online roulette. If it was so simple to win, everyone would be doing it! And there is a good reason why casino companies make such vast amounts of profits. But there are things you can do to give yourself the best chance. Keeping an eye on your money is key. Without a firm grasp of your bankroll, it will be hard to keep track of where you stand. Some people keep a detailed record of all their roulette bets. This can help you to keep up with how much you are winning at the roulette table. And if the opposite is true, you can see quickly how much you have lost as well. Of course, just like with any other gambling, you should never bet more than you can afford to lose on virtual roulette. 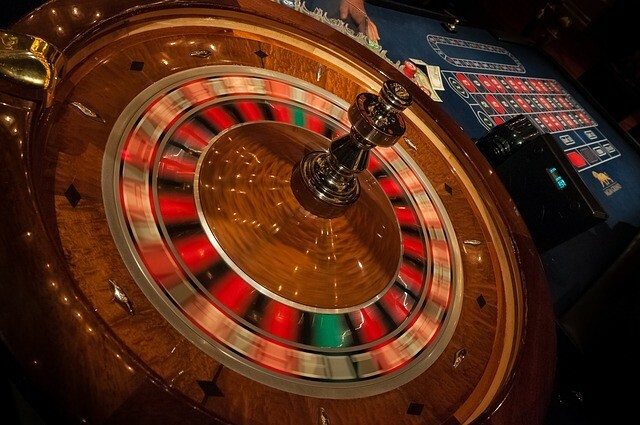 While online roulette is not rigged – the game uses a random number generator – a live casino can offer more peace of mind. These games have a human croupier who places the roulette ball in the spinning wheel. This way, you can see for yourself how the outcome plays out. What is worth remembering before you start is that there are never any guarantees in online roulette. You might have a great system. But systems can fail. Be careful with your money! Roulette is one of the most popular types of online casino games. Online roulette is a great pick for those who are inexperienced with gambling online. But it is useful for those of a more advanced level too. Lots of roulette players swear by having a strategy to guarantee wins. While gambling is always going to involve a level of risk, strategies can help to minimise risk. Everyone wants to give themselves the best chance of winning, after all. And this is exactly what a roulette strategy can do. How do you know which roulette strategy to use, though? Well, this is where we come in! This guide will cover everything you need to know about roulette strategies. We will be looking at three of the most popular roulette strategies used when gambling on online casino games. First up, let’s take a look at the Martingale betting strategy. Gambling aficionados may already be well aware of the Martingale strategy. This is a system often used in sports gambling as well. But what exactly is the Martingale strategy? And how does it work? The Martingale strategy involves doubling your stake every time you lose a bet. So let’s say for example you are playing roulette and betting on red. Your chosen stake may begin at 10 of your chosen currency. If you win, you continue to bet 10 on red. If you lose, you double the stake to 20 and bet on red again. Another loss would see you increase the stake to 40. This continues in the same pattern, so the sequence would go to 80, then 160, then 320. Stakes can rise very quickly using the Martingale strategy. But the law of averages says that you will always win eventually, recouping any of the money you lost in previous wagers. The only problem here is that you need an unlimited bankroll to be able to pull this off. Some online casinos also have a maximum level of staking on roulette. This can affect your ability to use the Martingale system on online roulette. Therefore, always check out these details before you bet. In addition to the standard Martingale system, a lot of gamblers use the reverse Martingale strategy when playing roulette. This system has a similar level of risk to the standard system. But the difference here is you double your stake when you win. A losing bet means you stay at the same stake. Obviously, with both strategies you have to time walking away properly. One of the most popular betting systems for roulette is the Paroli strategy. This system again works in the opposite way to the standard Martingale system. This is because you only ever increase your stake after you have had a winning bet at the roulette table. So if you start with 5 as your chosen stake, this bet stays the same until you have a win. When you first win a bet using the Paroli roulette betting system, this is when you double your stake. So if you were using 5 as your starting stake, you would move this up to a stake of 10. Gamblers will usually stick to betting on red or black when using the Paroli betting system. It is up to you how many progressions to go for when using this system. Obviously, it is inevitable that you will lose at some point. So this means you need to get out at the right time. It is usually recommended to go no further than three or four progressions. This should ensure you can regularly take out a decent amount of profit, while reducing your potential total losses. Perhaps the most famous roulette betting system is the Labouchere betting strategy. But how does the Labouchere betting strategy work? And how should you use it at the roulette table? Well, Labouchere betting strategy is another type of progression system. It takes its name from Henry Labouchere, an aristocrat who was a keen roulette player in the 19th century. The fact the system is still being used around 150 years later is a sign that people trust in its success. There are also a few different names for the Labouchere betting strategy. These include split Martingale, American cancellation and the cancellation system. There are a few others too. Starting the Labouchere betting strategy means writing down a sequence of numbers. The idea is that you bet the combined tally of the first and the last number in your chosen sequence. So if your chosen sequence is 1, 2, 3 then you will bet 4. When you have a winning bet, erase the two numbers you used from the sequence. If you lose, you then add the 4 to the end of the sequence to make it read 1, 2, 3, 4, which would mean your stake goes up to 5. When betting on roulette by using the Labouchere betting strategy it is recommended to stick with your roulette selection. So if you are betting on red, stay with it and do not switch to black. No roulette betting system is ever able to guarantee profits, but the above three strategies are well worth trying out. Many people have had a lot of success by using either the Labouchere system, the Martingale strategy or the Paroli system. Test them out for yourselves!